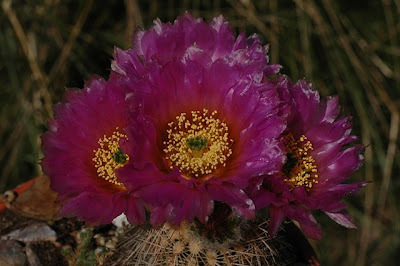 I have been growing Echinocereus reichenbachii in my coldhouse for a while but never seen any flowers until last week. 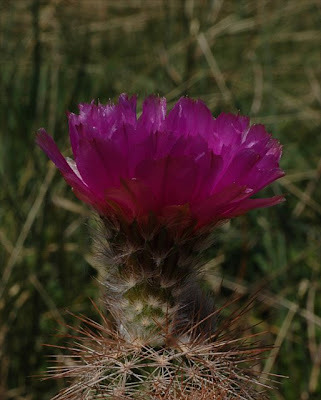 Several of the plants flowered for the first time - an impressive sight. 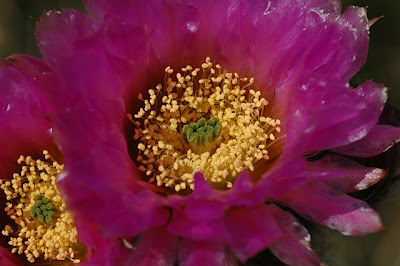 The flowers are excessively beautiful with their silvery pink to magenta petals, bright yellow anthers, and the fresh green stigma in the center of it all. The flowers seem rather variable both in the number and color of the petals. 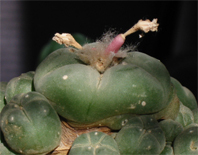 The flower pictured below has fewer, larger, and darker petals than the one above. I outcrossed the flowers and hope for seeds next year.